Interested in this instrument? Contact us below. Digital was never more natural. An acoustic piano with volume control, or a digital piano with strings? Yamaha's latest development stretches the imagination and opens up a whole new world of possibilities. Most importantly, a TransAcoustic™ piano is a wonderfully crafted acoustic piano produced in-house through Yamaha's vertically integrated manufacturing process. This guarantees high-level playability, long lasting durability and a beautiful sound. When the hammers strike the strings, vibrations travel through the solid-wood soundboard creating a vibrant tone that will stimulate the senses. 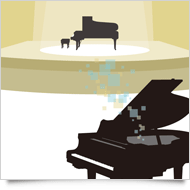 There are times when the full sound of an acoustic piano may not be appreciated by your family or neighbors. For these situations, simply activate the TransAcoustic™ function and the hammers will no longer strike the strings. Non-contact sensors under each individual key detect your keystroke depth, velocity and timing and send this information to the tone generator. 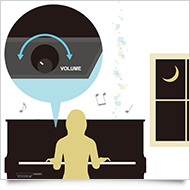 Just adjust the volume and hear the digital sound of your piano performance coming from the entire instrument. The TransAcoustic™ piano offers 19 pre-installed sounds, allowing you to select a voice that perfectly matches your music. Select from the award-winning Yamaha CFX Concert Grand, or from a number of electric pianos, organs, strings and much more! Additionally, you can connect any external sound source to be played back through the entire instrument. 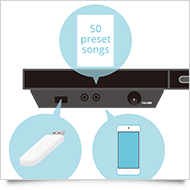 With Yamaha's TransAcoustic™ technology there's no need to connect external loudspeakers. 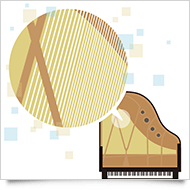 At its most basic level, TransAcoustic technology turns the piano into a 'loudspeaker' and the soundboard is working as the membrane for that loudspeaker. There's no need to purchase extra speakers and cables. The piano is ready for you to play as soon as it's delivered into your home. Sounds played through speakers can often sound one directional as they are coming from a single source point. 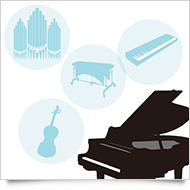 In contrast, the Yamaha TransAcoustic™ system uses all acoustic elements of the piano to generate a larger and more natural omni-present sound. This technology makes the entire instrument a resonator, producing a rich and complex tone. 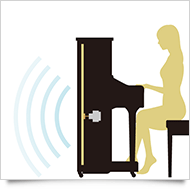 The TransAcoustic™ technology transmits the digital sound directly to the piano soundboard and makes the piano itself behave like a loudspeaker. The sound you hear has the natural tonal characteristics of the soundboard. The vibration of the soundboard is also transmitted to the piano strings and creates the same natural string resonance as when you play an acoustic piano. With the soundboard producing a rich tone and the strings a natural resonance effect, instrument voices sound better than ever. Digital was never more natural. Perhaps the most scintillating sounds are generated when you combine the acoustic and digital properties of the instrument - gentle orchestral strings under a natural piano, for example. 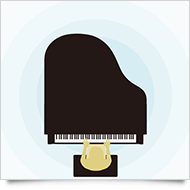 You can also combine the CFX concert grand piano sample with the piano's own acoustic sound to give it more power and depth. Can you imagine the sound and presence of a 9' Concert Grand emanating from the footprint of a 48" upright? Another way to enjoy TransAcoustic™ technology is to play the piano accompanied by pre-recorded tracks played through the soundboard. Because the instrument is a real, fully strung and resonant piano, the natural sympathetic vibrations of the soundboard, case and more significantly strings add a completely new dimension to performance. The sampled sounds come to life with a brilliant realism no other instrument can match. You can use the USB port to play back .WAV files or use the AUX-IN jack to connect an external music player. The TransAcoustic™ Piano features Yamaha's renowned SILENT Piano™ SH technology, so practice sessions can also be conducted with headphones. 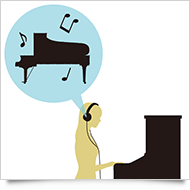 The binaural sampled CFX concert grand piano sample uses a dummy head recording technique to capture the sound from the player's natural listening position. This offers the perfect environment to play without being disturbed or disturbing others. 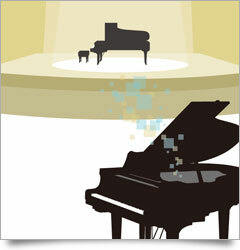 For all SILENT Piano benefits check our SILENT Piano™ web page. Played by the winner of the 2010 International Piano Competition, the CFX is Yamaha's flagship concert grand piano, and TransAcoustic™ pianos feature a superbly detailed binaural sample of the CFX that lets you to enjoy the rich, resonant sound of the CFX in a more compact instrument. Headphones, Headphone hanger, Owner's manual, Music book "50 Greats for the Piano"